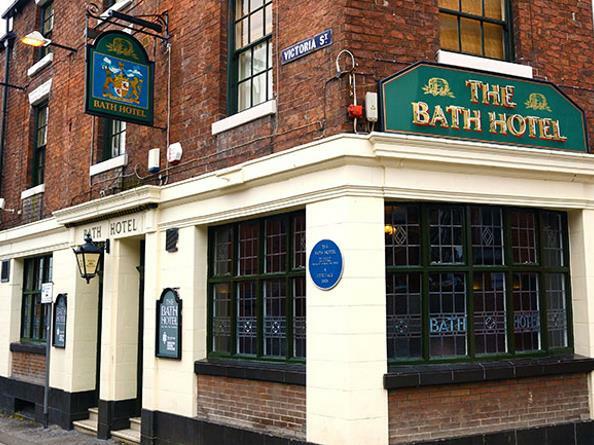 Hidden just off West Street on the corner of Convent Walk and Victoria Street, you will find one of Sheffield’s best kept secrets The Bath Hotel – a home for great beer and relaxing with friends. Always on the bar will be a selection of Thornbridge’s award winning beers in cask, keg and bottle. In addition our brewers have selected, from many of the outstanding British breweries, beers that will form a guest rotation. A range of classic premium beers from across the globe will also be available. Not sure which one to try? Just ask for a sample. Great homemade bar snacks using the freshest, local ingredients, a selection of sandwiches and soup of the day will be available.